Get your free quote about renting a shipping container in Midvale UT. 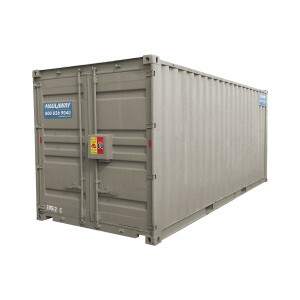 Simply call Haulaway Storage Containers, Inc. or visit our website. Having a storage container rental conveniently delivered to wherever you need it makes everything about your project so much easier. We know that you will love the money, time and energy that our containers save you. Since 1968, we have been leading this industry. Over the past 47 years, we have learned that the only thing more important than what type of storage container we carry is what level of service we offer. Storage is our product, and keeping you happy is our business. That’s why we will deliver a shipping container to most any Midvale UT address. That’s why we make sure the unit shows up clean and ready to be used. That’s why we promise that your container will arrive on time, every time. That’s why we allow you to use the unit for as long as you need. We do all of this because we want to remove all of the angst that normally comes from figuring out storage. We worry about the details so you don’t have to. Variety is the other lesson we’ve learned over the years. We provide a number of storage container options for you to choose from. We have units as small as 10’ and as large as 40’. Our 10’, 21’ and 26’ models have been cleverly designed with double doors placed on both ends. The makes loading and unloading much easier all while allowing for a cross-ventilation breeze to blow through. All of our containers are wind and water-resistant. They all guard against burglary with their high security locking systems. If you want some serious protection then you should consider our 20’ and 40’ models. They are made from 14 gauge steel and are fitted with our patented Rhino Locking System. Whatever requirements your job demands we have the right storage solution for you. Haulaway Storage Containers is standing by ready to help. If you’re ready to benefit from having a shipping container brought to your Midvale UT home or business then go online or give us a call. Order today so you can start storing tomorrow.